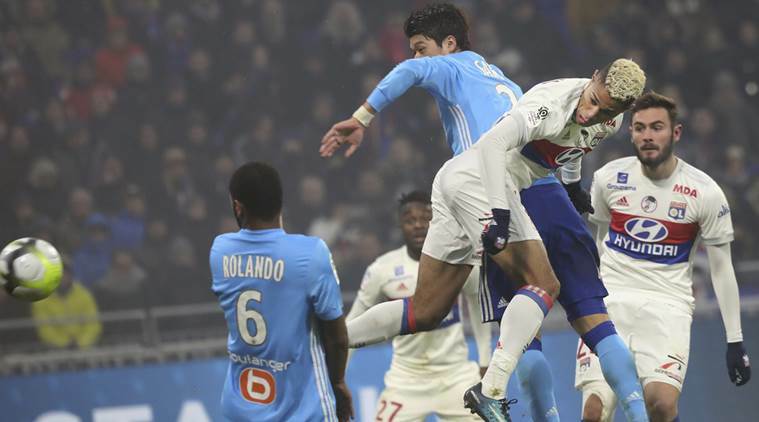 FRANCE – Parc Olympique Lyonnais will be the center of attention in French Ligue One this weekend as two of the country’s heavyweights – Lyon and Marseille, clash for the right to be main contenders to the throne currently held by Paris Saint Germain. For two consecutive weeks, Lyon’s league campaign has suffered setbacks; notably losing at home to Patrick Vieira’s Nice, before drawing at perennial strugglers Caen. But they come into the game buoyed by a vibrant Champions League victory over English champions Manchester City at Etihad Stadium. Les Bleus star Nabil Fekir has worked himself into superb form after beginning the season blighted by injury. Having wreaked havoc in both Manchester and Caen, he will once again carry Lyon’s attacking threat along with Memphis Deepay and Bertrand Traore. On the other hand, Marseille boss Rudi Garcia can count on the mercurial left foot of Florian Thauvin. The former Newcastle United winger’s game has developed beyond recognition. He currently sits atop the French scoring charts after outscoring established forwards at the Veldrome including Valerie Germain, Kostas Mitroglou and Dmitri Payet. A few hours earlier, league leaders Paris Saint Germain will be protecting a one hundred percent record when they travel to face tricky Rennes. PSG’s superstar cast of Neymar Jr, Kylian Mbappe and Edinson Cavani are expected to be in uncompromising mood following their lackluster displays in Tuesday’s 2-3 Champions League defeat away to Liverpool. However, Ligue One action commences on Friday night with Leonardo Jardim’s 2017 champions Monaco hosting high scoring newcomers Nimes. Jardim will have read the riot act to his boys as they failed to shine in losing to Atletico Madrid at home this past Tuesday. Elsewhere, newcomers Reims host Dijon in champagne country, high flying Toulouse travel to Angers, Montpellier face Nice and Saint Etienne battle Caen. Ivorian dribbling wizard Nicolas Pepe meanwhile leads Lille against Nantes.